Enjoy the remote experience of off grid living. Just a 45 minute scenic drive from Whitehorse, Yukon. A beautiful hand crafted sitka spruce log home awaits you on the rocky shores of Annie Lake located in the forested foothills of Gray Ridge. 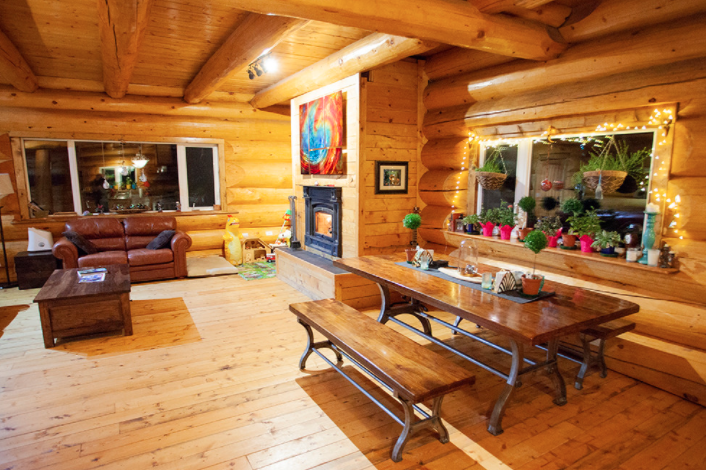 It is a perfect Yukon lakeside mountain retreat with stunning alpine views from every window. Enjoy all the comforts of the good life in relative isolation in a romantic nature lodge.